"A personal stamp on the Great Songwriting Tradition. A." "... brooding, adventurous ... as if Elvis and T-Bone Burnett sought to bare the Costello soul by peeling away the layers of Brit pop artifice." "... (the musicians) all collaborate with their paymaster on that incommensurable token of collective creation, a groove ... the music has opened up: the careworn relaxation of Elvis's live vocals fits the uncompromised careerism of this groove ... good show. A-." 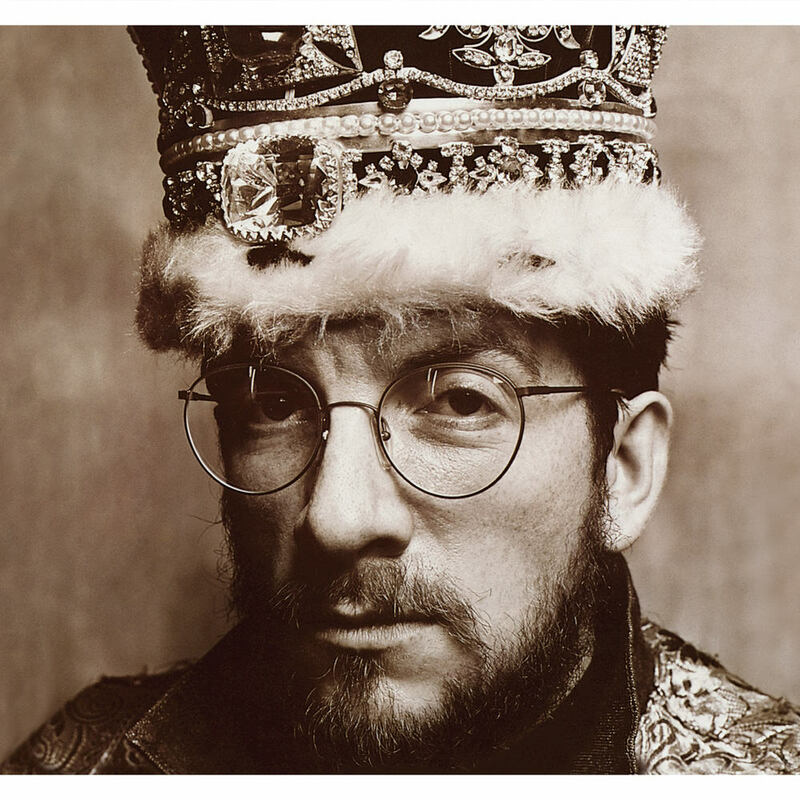 Elvis Costello's 1986 offering King Of America followed a solo tour with T-Bone Burnett; the two reunited in the studio to co-produce this album, recorded in Los Angeles for the most part with veteran American studio musicians, including members of Elvis Presley's last backing group, the TCB Band. King Of America peaked at number 11 in the UK where a cover of Don't Let Me Be Misunderstood became a top 40 single.